It’s easy to stop going to the gym but so much harder to get back into it if you’ve had a long break. Maybe you’re on your way to recovering from an injury, maybe you’ve just come back from a holiday (lucky you! ), or maybe you lost your way for some time there. Whatever it is, here are some pointers on how to get back to the gym after taking a long break and what to expect. Unfortunately, regardless of whether you are a runner, weightlifter, or crossfitter, taking time off from exercise means that you will lose some of your abilities. It doesn’t mean that you’ll never be on the same level or surpass it. It just means that you may start at a lower weight or longer running time than before your break. This is completely normal. Let’s take someone who lifts weights as an example. After 1-2 weeks, you may not really see or feel much of a difference. 2-3 weeks without the gym may see you lose some lean muscle mass. You might start losing actual muscle around the 4-week mark and more. The good news is that you’ll also regain your strength quicker than it took for you to reach that weight in the first place thanks to a little something called muscle memory. Which leads us to our next point. We understand that it can be difficult knowing that you’re not lifting as heavy, or running as fast or long as you could but you need to be patient. Work with the strength or energy you have now, and trust that as long as you are consistent and continue to workout, you will return to normal within a few weeks. Don’t try to push yourself from the get-go as this will only increase your risk of injury. And if you get injured, then you’ll find yourself spending more time out of the gym. Don’t try to do all the exercises at once. Stick to a few to ease yourself back into it and give your body time to adjust to the change. Then you can gradually go back to your normal routine over time. Contrary to popular belief, feeling sore isn’t a good indicator of whether you’ve had a good workout or not. If you’re feeling sore, it’s probably because you’re doing a new exercise or you haven’t trained in a while. So if you’re getting back to the gym after a long break, you’ll most likely be feeling it the next day. The good news? The soreness won’t last forever. Once you get back into a routine, you will find yourself being able to workout without feeling the burn afterwards. To help recover faster, make sure that you properly warm up before exercising and cool down afterwards. Stretch in every session and employ other tools to help such as foam rolling. If you want the extra help, then enlisting in a workout app or personal trainer can really do the trick. If you just need a little push to get back into training, then a workout app like Jefit is a cost-effective method. You can choose the body parts you want to train, as well as some great exercises to do so. You can even connect with other Jefit members so you can share tips on how to get back to the gym. A personal trainer at your local gym is also really helpful. He or she can create a workout plan for you based on your goals, and show you how the machines work around the facility. Unfortunately, personal training can be on the pricey side at times, but sometimes there may be great offers like group fitness training. This is where you can share the cost and session with a couple of friends! If you are recovering from an injury though, we recommend that you do enlist the help of a trainer or coach. This is so that modifications can be made for your rehab process. This is vital so that you don’t undo all the progress you’ve made in recovery and make it worse. Looking to get back to the gym after taking a long break? Want to connect with like-minded people to keep you motivated? 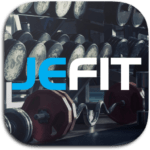 Download Jefit to track your workouts and join our members-only Facebook group. You can record your training, set a schedule, and talk to fellow Jefit members. Basically, everything you need to get back into the swing of things! What do you do to get back to the gym after taking a long break? What tips work best for you? Let us know in the comments, we would love to know! Helpful tips on how to get back to the gym. Actual article, I try to observe the discipline of training. Pay attention to this site thttps://bestlawnmower2017.com/ here is a lot of useful information! and harder and so on! …. very useful tips for getting back to the gym. Here is an energy gum that I found that might help you to go back to the gym after taking a long break.